Love it!!! 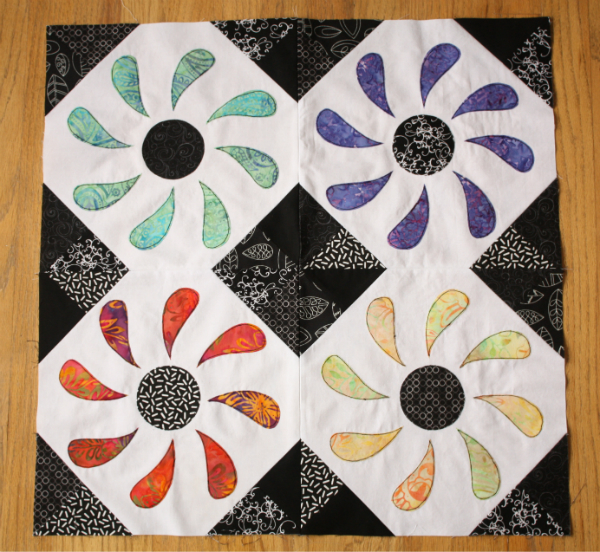 I'm not sure what quilting motif, but I keep thinking that swirls have "movement" as do the petals. I'm a huge fan of micro stippling or very tiny other kinds of meanders around spaces like that. I'm sure whatever you decide on will look great! I've been to your blog quite a few times, I'm sure you'll come up with something great. Lovely Leanne, the corners do look good where they meet. A stipple always looks good, but looking forward to what you do. Thanks for dropping by my blog. 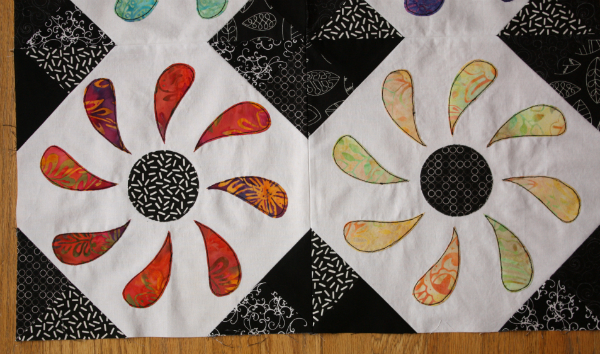 I love the blocks you have up and those petals would be lovely surrounded by tight quilting. I love the idea of swirls and pebbles. Go for it! This does look fun with more than one block together. Have fun with the quilting!